When inspiration strikes, don’t hesitate. That has always been my maxim, the standard I use to I move forward in my work. Inspiration hit me today. 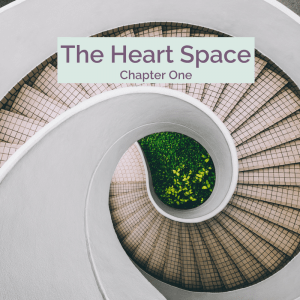 Because I was moved to create a story about discovering a new way of living, I wrote the first Chapter of The Heart Space – A Love Story. And for some unknown reason, I felt compelled to record it as an audio book. I am no stranger to the mysteries of creativity. In today’s world, we can instantly share our creations, whether they are worthy or not. This instant delivery always leaves me in a quandry. Should I post what I created or wait for a better time? As soon as I finished the recording of Chapter One, the decision was already made. So without any further introduction, without any additional preparation, I give you the first chapter of The Heart Space – A Love Story. P.S. Hopefully, inspiration will strike me again to continue writing this story. There are so many ideas I want to share with you. Please comment below if you felt something stir inside you as you listened to the audio. Moving through a milestone birthday sparks introspection, analysis and hopefully, forgiveness of yourself and others. The stories you created about past events and the people involved shaped your idea of self. These are the stories through which you filter reality. When you step back and look at these shaping stories from a different perspective, you suddenly realize that they are no longer true. You have grown past the limiting stories from your childhood or young adulthood, and you didn’t even realize it! That is the wonder of a milestone birthday. You assess the past to curate the present to create a different future. You may be wondering when I am going to explain the title of this article. Stay with me and it will become crystal clear. What is it you plan to do with your one wild and precious life? What a great question to ask at any age, but especially when moving through a milestone birthday! My answer: to stay awake and aware of the wonder and majesty of everything around me, to allow God’s love to flow through me into the world, and to grab hold of inspired action and see where it takes me. What’s your answer to that question??? Makes you think, doesn’t it? It’s just another step in the Heart Dance. The experience of being human is an adventure, no matter where you happen to be in the world. Cultures place different values on the experience, but there are certain values that remain the same, no matter where you are. Family. Friends. Belief in a higher power. In my travels this year, I have noticed one difference. How people use their cell phones. A cell phone is a wonderful invention that connects, informs and directs, all from the palm of your hand. With the swipe of a finger, you can learn the history of anything or discover the answer to the most obscure question. But this tool can also isolate and separate people. This is not a comment on either city, just an observation. In Paris, however, it is a different story. The Parisians may come across as rude or indifferent to tourists, but when they are with friends, they are intense, engaged and attentive. Yesterday, for example, we had lunch at a sidewalk cafe. To our right was a group of three men who were engaged in a spirit discussion. Different voices made emphatic points, to which the others responded. All of this communicated over food. To our left were two women, also engaged in a deep conversation. Each looked into the other’s eyes, listening attentively. No one had their cell phone out. It was not in sight and was never used during either of these conversations. I didn’t think much about this until we took a stroll last evening along the Seine. Notre Dame rose in the sunset as small groups of people enjoyed the cooler air. Food and wine were part of every gathering…and not a cell phone in sight. We are humans, wired to be connected to each other. Why don’t we pledge to leave our phones out of sight and intend to listen. When we connect to others, we also connect more deeply to ourselves. Have you ever wondered where time came from? It seems real enough, until you start playing with it. Then, time becomes malleable, pliable and totally manipulatable. Time is an illusion of the mind. Don’t believe me? Remember your first kiss with someone important to you. Did it happen in the snap of your fingers, or was it slow motion, just like in the movies? Either way, the same amount of seconds (or minutes) ticked off the clock, but your perception of the event was completely your own. Why am I writing about time? I just finished watching “A Wrinkle in Time,” based on the childhood classic book by Margaret L’Engle. The story is about how powerful we are, based on the thoughts we think. When thoughts are combined with emotion, they can shift our reality. Love or darkness fuels these changes. It is always our choice which one we use to create our world. What does this have to do with time? The movie has a science fiction element, because the main characters jump into a different dimension, outside of time and space. They carried love with them and evolved into more powerful creators as events unfolded. I feel as if I have jumped out of time and space. I forgot to share that I am traveling at 551 mph at 39,003 feet as we fly more than 8,400 miles from Sydney, Australia to Dallas, Texas. While these data points provide a solid context, it’s what happens to time that fascinates me. We left Sydney at 1:30 p.m. on Monday, May 28, 2018. Traveling east means that we gain time. We will land in Dallas, Texas at 1:31 p.m…on May 28! Basically, we live the same day over! Doesn’t that blow your mind? I feel like I have stepped into a wrinkle in time. After I stepped through the sliding doors at DFW Airport and into the arms of my family, I knew exactly how I would spend the extra hours that traveling around the world gifted me. In love. Being love and loved. Grateful for this life of love. We step out of time when we love. Time is a mental construct that holds our experience in our minds. Love is a heart activity that is infinite and outside of time. The first time I heard that sentence was at a women’s retreat in Bali. Eleven women on a spiritual journey to find their own truth. Eleven women who traveled great distances to share a brief space of time to learn, connect and evolve. Our group was diverse in age (the youngest was 34; the oldest, including me, were in their late 50s). Each one of us carried the deep desire to shed old beliefs, dissolve our limiting stories and become more authentic. I can’t speak for anyone else, but my shedding began when I sat in the car on the way to the hotel from the airport. Chaotic traffic, hundreds of scooters and cars vying for the same spot on the pavement, all at the speed of life. My fear of crashing was triggered immediately. My body tightened, my breath became shallow and I became my fear. Until I looked at our driver, Nengah, and noticed how calm he was in the middle of chaos. His hands were gently resting on the steering wheel, his shoulders were relaxed and his focus was complete. He never reacted as a scooter zoomed past us, between our car and oncoming traffic. He never became angry or upset at anything that was happening on the other side of the windshield. He was present, mindful and aware. It was my first lesson on the illusion of Bali. I brought my Western awareness to this place and judged it based on my perception. But I failed to see that I was looking at the illusion, not the underlying reality. The Balinese know this as a fact and they live from this place. They may describe it differently, but their presence in the present becomes obvious as you spend more time with them. During the retreat, I also learned that we are conscious creators of our reality. Our reality begins and ends with our internal eyesight. What we see in our mind’s eye is what we will see when light is refracted off our eyeballs. As creators, we change our reality when we change our internal vision. Meditation, visualization and gratitude are ways to stay centered. As you emerge into the world from these practices, your energy goes before you, almost like a magic carpet. You invite the same energy into your reality that you radiate. Life becomes a beautiful dance. It’s so simple but many of us have forgotten our own power to create our reality. We see the physical and interpret its meaning, based on our perception in that moment. The illusion becomes our reality, because we are on the inside of it. We have forgotten that we are energetic beings with consciousness. The Balinese live this way. They wake in the morning and give thanks. They create offerings and place them in the doorways, at the base of the shrines, and at the foot of waterfalls. Anywhere they see God’s signature on the world, they celebrate with gratitude. My intention is to see beyond the illusion of the physical, to the energetic life force that supports and connects everything. To first clean up my own energy before interacting with others. And to consciously allow the essence of life to flow through me as loving energy.